Edging their way into the pro scene. Everyone knows the dive meta isn’t going anywhere for the time being. Winston and company are well-represented at the highest levels of play, and fighting these mobile compositions with your own seems to be the way to go. Throughout the life of this meta, one thing has remained constant: Talon heroes have not been played much at all. Widowmaker, Reaper and Sombra have their time on certain points, but their Overwatch-aligned counterparts have stolen the spotlight. Well, as life imitates art, the shadowy villains came out to enjoy some esports last weekend after the official Doomfist announcement. Let’s see how Arc6 and FNRGFE utilized Talon’s most infamous operatives. Hack a popular medkit, go out to get five to six percent on your ultimate, and recall back to safety. It doesn’t get much simpler than that, and locking down the medkit under the bridge on point B of Anubis can be a game-changer. But what’s more exciting and striking here is that both Arc6 and FNRGFE went with Lucio for solo heals while their respective Sombras fought for control of medkits and clutch hacks. Oftentimes when we see teams try to get more and more creative, it means a meta shift is waiting around the corner. With Doomfist set to Launch soon, it does make sense that professional players are trying to find alternatives to the conventional dive build. It also makes sense that Talon’s rumored leader, Reaper, is starting to become a little more prominent in the esports scene. Haven’t seen a good Nano in awhile, have you? Captain Amari powers up her former squaddie and he goes to town, taking out an incapacitated Lucio and then getting a couple more on his Death Blossom before D.Va sends him to the spawn room in explosive fashion. Sometimes you have to be willing to take risks with Reaper since it’s not easy to get in and out of combat with him. If your Death Blossom is ready and you don’t think the other team has anything to deal with it, it’s time to hit Q and hope for the best. As long you get an even trade before dying, you have nothing to be concerned about. Everything is looking good when he jumps back to bask in Transcendence, but once he jumps back in to engage, Clockwork is waiting for him. In just a few shots, XQC dies even though his target has an Orb of Discord. Buds manages to pick off Danteh as soon as the match starts which puts Arc6 on their heels right away. While his team enjoys their positional advantage, Buds stays back and utilizes the forwardmost columns to try for some high-altitude shots. 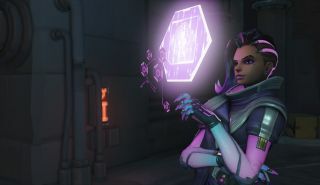 If you want to learn Widowmaker, the ruins of Ilios is a great place to start. The enemy team has to run toward you, and there are only a few seconds where they can afford to hide before presenting themselves to you once again. Keep your mine in middle of the point or at one of the lower entrances, and you shouldn’t have a problem laying down some consistent damage. One of the problems that professional Overwatch suffers from is a lack of participating teams. Regardless of your stance on Overwatch League, it’s not good that so many organizations are dropping their rosters. Both FNRGFE and Arc6 are staffed with players and coaches from former rosters of large esports organizations such as Denial and Fnatic, yet they all remain “teamless”. One one hand, it’s a testament to the fighting spirit of everyone trying to keep the competitive fire burning. On the other, it can feel deflating when your hard work goes unappreciated. It’s going to be interesting seeing where both of these talented rosters end up come time for Overwatch League. For the moment, FNRGFE has earned a spot at Overwatch Contenders Season One which starts in August, and Arc6 just acquired former Fnatic star Custa, as well as a new coach, Emanuel Uzoni. With that, I leave you with this brutal Genji reflect by Danteh. One shot, one kill, indeed.